I’m so pleased to be part of a week long Home for the Holidays Tour with a lovely group of great gals! Welcome to our home, BannockBurn 1878!! 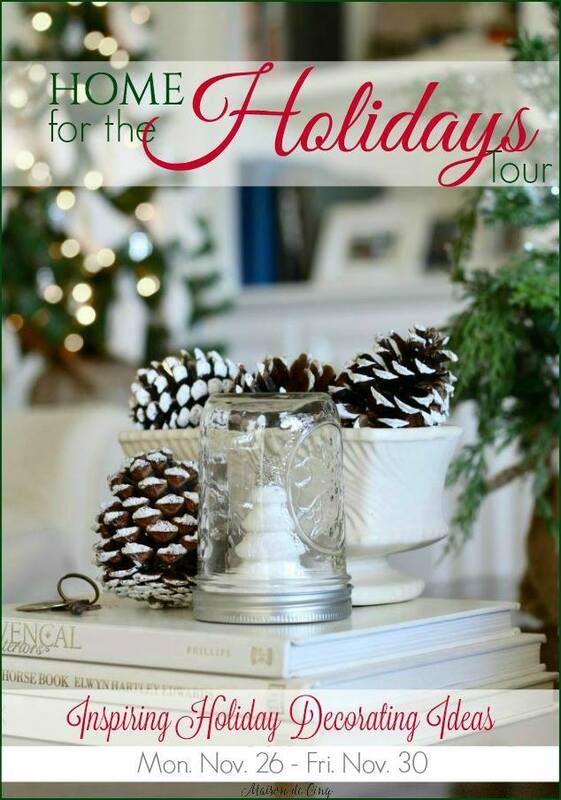 Be sure to check out the other homes on tour and enter for the giveaway … I will share links at the end of this post. 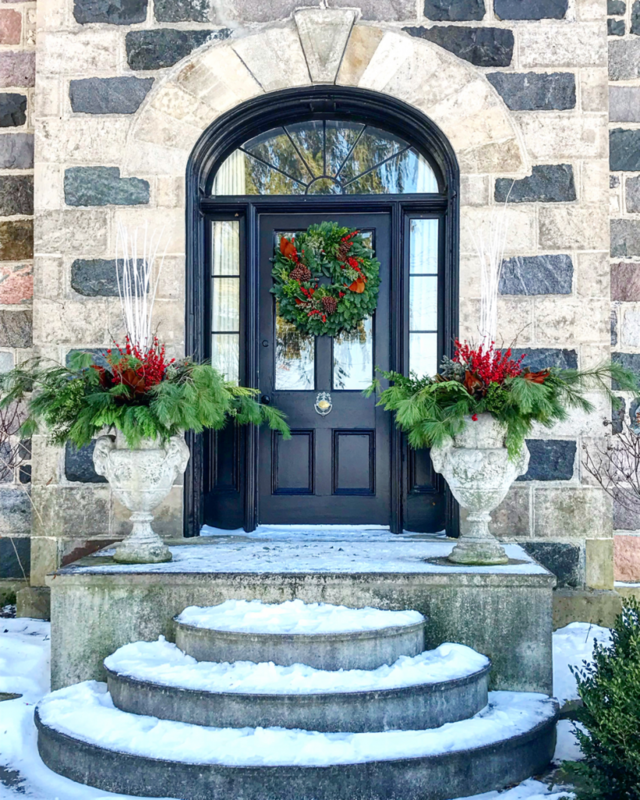 In my experience, some off my favourite seasonal decor ideas were spur of the moment… so don’t be afraid to try something new!! We used many products from their wonderful shop to create a festive holiday table. 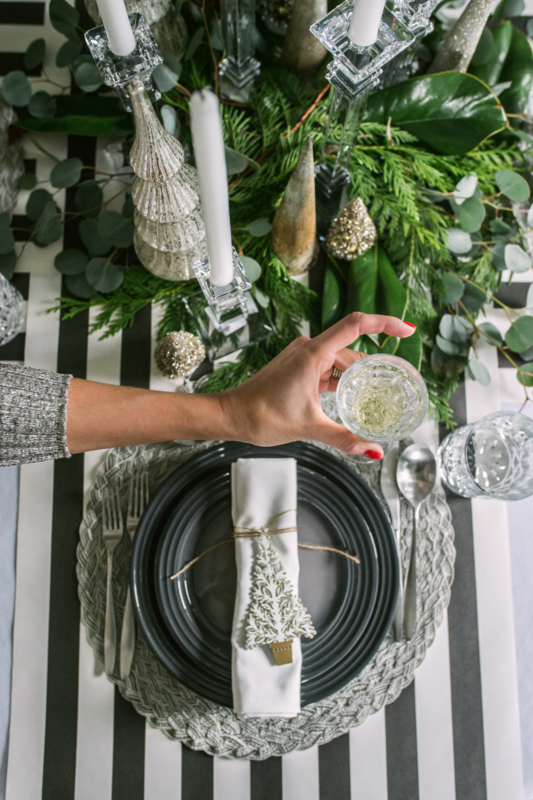 Starting with a whimsical striped table runner in paper and then adding layers of texture and interest with silver placemats, Le Creuset dinnerware, Waterford crystal, candleholders and charming silver trees we set the stage for making memories. If you are anything like me you are always looking for extra serving areas. I designed these collapsible tray tables based on a vintage baggage stand concept. We have them throughout the house and quite frankly, I can’t image not having them… I use them in so many ways. Here one makes the perfect place to showcase desert. 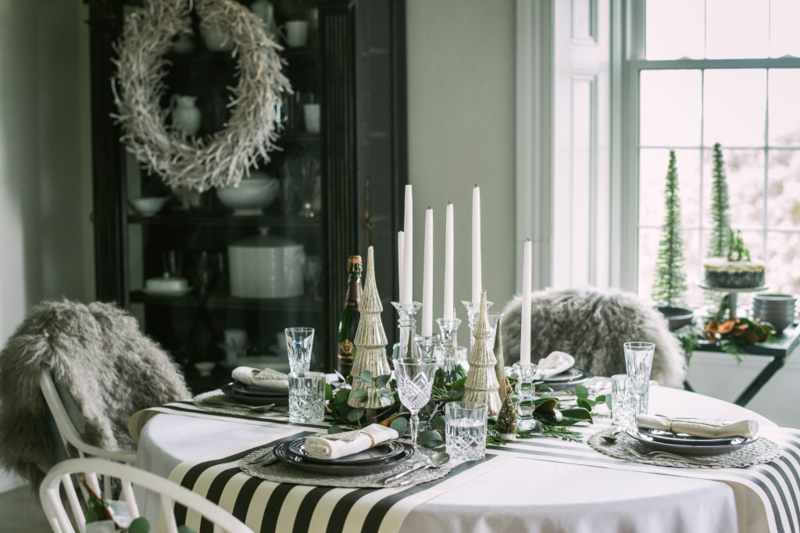 Not only does this leave the host or hostess free to do less hopping between courses but it also provides another place for a holiday vignette. 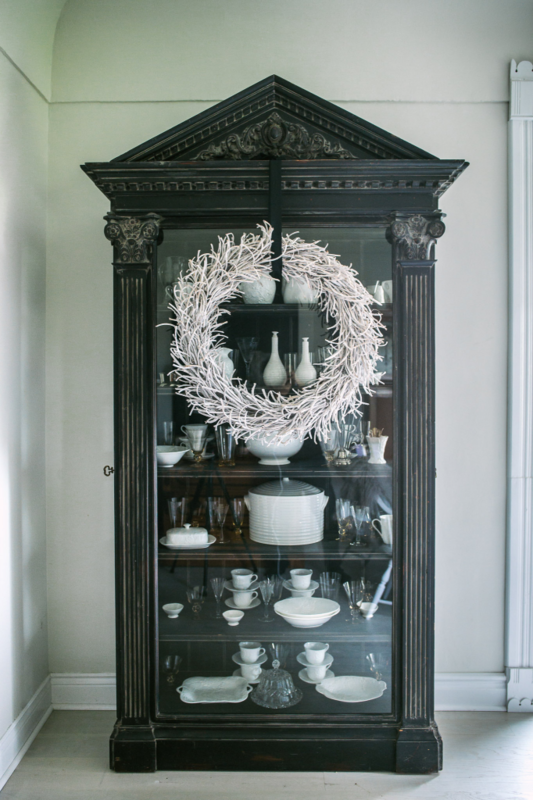 Sometimes high impact can be achieved through simplicity… a wreath hung with wide black ribbon is all that was needed to dress my china cabinet. For an interesting mix of style within the china cabinet I married Sophie Conran dishes, Wedgewood Strawberry and Vine dinnerware ( which I believe is now discontinued ), some vintage glassware and a variety of cut glass and pressed glass pieces. Yes, they can be more work and Yes, they do drop as the season winds up but for me… there is no substitute! 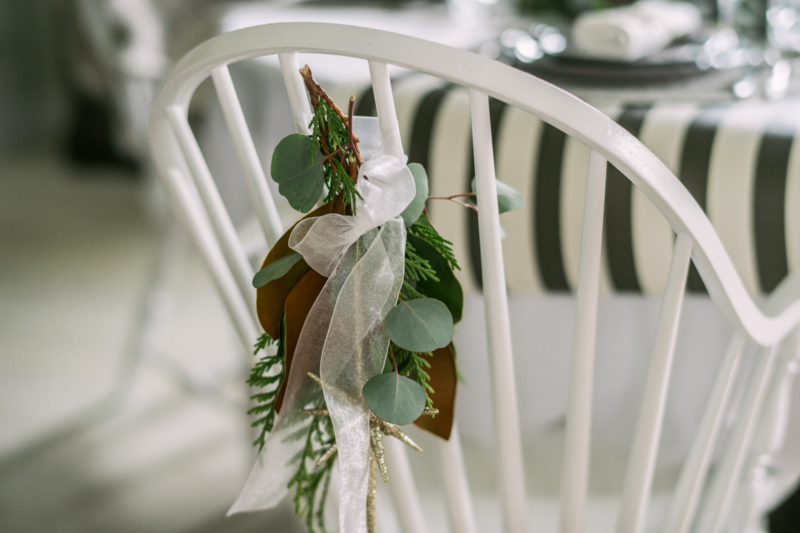 Here a small posy of cedar, seeded eucalyptus and a magnolia tip are tied with ribbon on the chair backs. 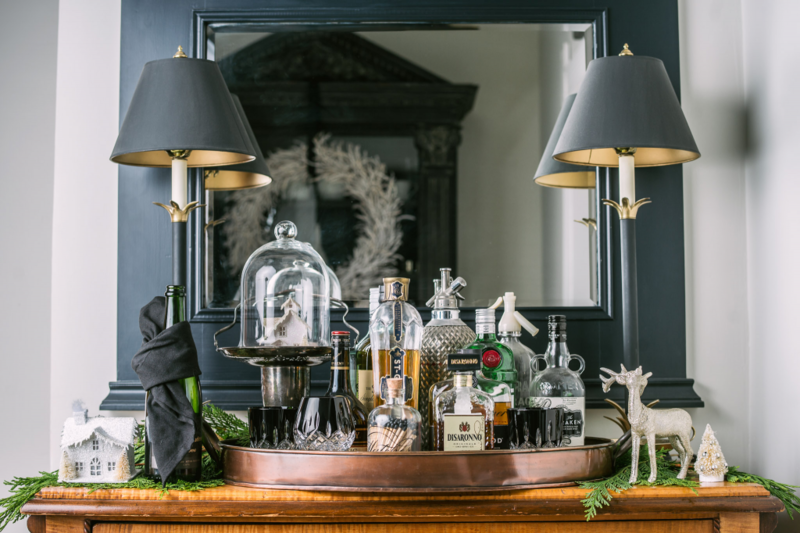 A few whimsical miniature houses, a reindeer and a dusting of fresh cedar go along way to dress up our bar area. I am absolutely in love with that apothecary inspired jar holding gorgeous black tipped matches and the stunning Waterford Lismore Black tumblers and brandy glasses stole my heart!!! 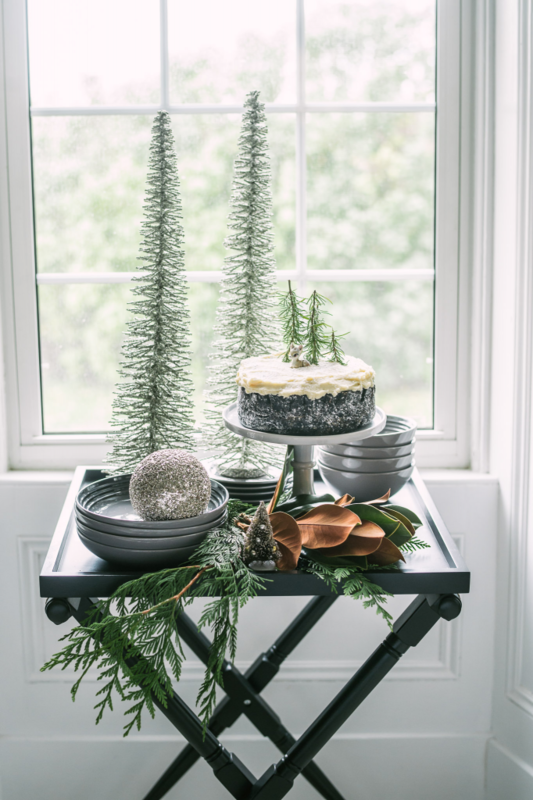 Mixing fresh greens with crystal candlesticks, white candles and these wonderful mercury glass trees brings the perfect mix to this centrepiece. I can just imaging the dance of soft candlelight playing off the metallic of the trees… sigh. Grey Mongolian sheepskins are casually draped over two of the chair backs for a touch of whimsy and texture. 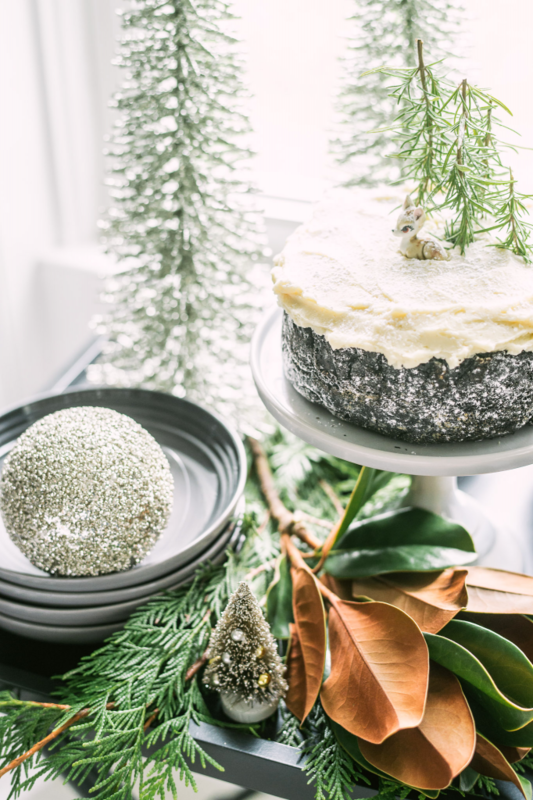 We work so hard creating beautiful deserts for Holiday gatherings… it seems fitting to give them centre stage as long as possible! Yes, I did say “fawned” over Ha Ha Ha… or is it Ho Ho Ho? Well that is my take on creating a festive dining room for the Holidays. 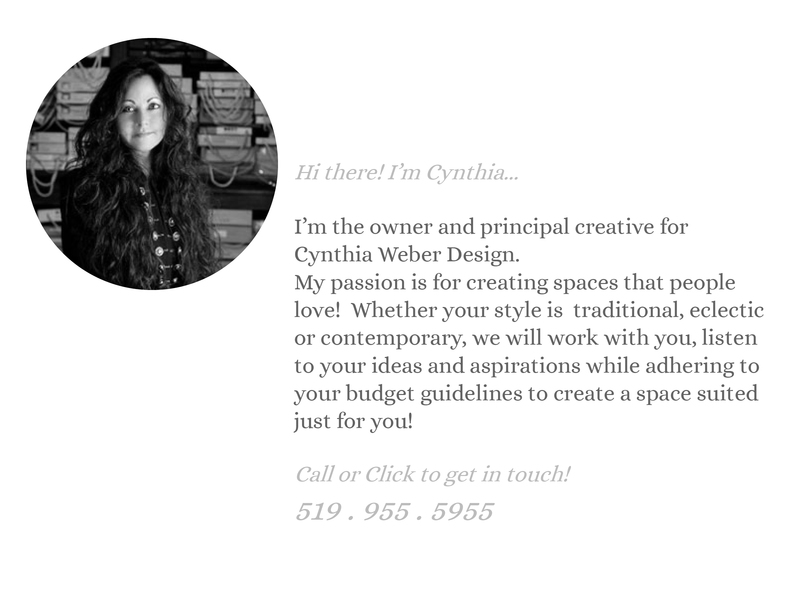 I hope you enjoyed the photos and if you are curious to see more of our home and my work please follow along with me on Instagram I would love to get to know you!! Wishing you and yours a very festive Holiday Season!! P.S… Bradshaws has asked me to put together a curated Holiday Gift List for them on Dec 1st. so follow along on my IG feed to see all the goodies on my list! !